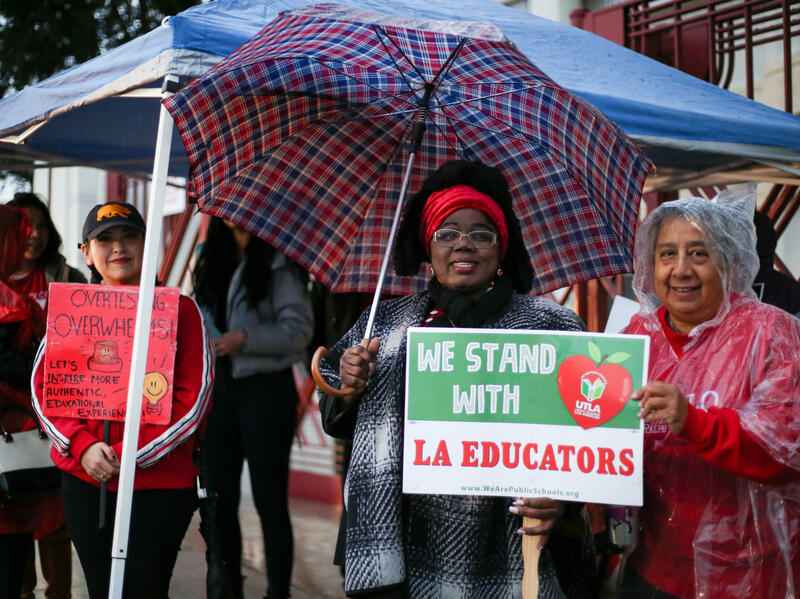 #1481: "The State Of Teacher Labor Relations"
For six days last month, about 600 thousand students had their school days turned upside down as teachers in the Los Angeles school district went on strike. That follows a number of other labor actions by teachers last year. Today on the Best of Our Knowledge, we’ll talk about the teacher’s labor movement kin the US. Then we’ll head to New York State, where a new program is helping some students with autism succeed in school, and a university is trying to evict a photography club from its darkroom. And we’ll spend an Academic Minute with scary movies.